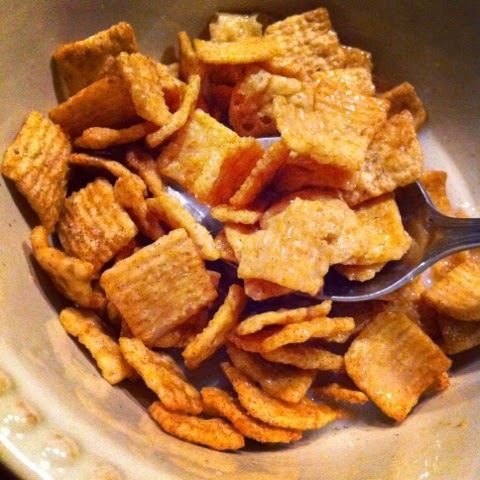 I started off my day with a big bowl of Cinnamon Toast Crunch. It was amazing. Sometimes, I just have to eat like a kid in the mornings. I'm not a big breakfast eater, so anything to get me excited to eat breakfast, is a great thing. My husband and I had a busy and wonderful weekend. We had friends over for a delicious seafood feast on Friday, and then went out to dinner with friends on Saturday. Getting together with friends and family usually revolves around food and drink. This weekend was no different. In knowing this, I weighed myself before the weekend festivities began, and I plan on not weighting myself again until this Sunday. - 4 lbs. down, only 6 more to go! - 3 out of 4 weeks done so far! I am getting a root canal this week, and I am not looking forward to it. I'm not sure what I will be able to eat, and how long I will have to adjust my diet. I'm thinking soup would be a safe bet for dinner as I'm recovering. In other news, I have an update for my 6 by 26 Challenge. The challenge ended when I turned 26 last month, however; I am about to complete another one of my goals! Better late than never. Tonight, when I get home, my husband and I will be celebrating St. Patrick's Day by paying off our credit card. It took a little over a year of dedication and self control to get to this point, but it is all paying off now! Literally. What are you doing to celebrate St. Patrick's Day? Congrats on the success and the credit card! After I had oral surgery, my dentist recommended drinking slim fast because it's a meal replacement so it has nutrition.